The Golden Knights are currently in the midst of a hard-fought playoff series with the budding rival San Jose Sharks. The series shifts to Vegas tonight for a pivotal Game 3, yet the story of the day isn’t about penalties, forechecking, goaltending, or anything else on the ice. Instead, it’s about a brand new player being added to a team that won the Western Conference Championship a year ago and are on the path to potentially doing so again. Nikita Gusev’s season ended in the KHL a few days ago, he quickly terminated the final few days of his contract with SKA St. Petersburg so he could board a plane to the United States and join his new team, the Golden Knights. The 26-year-old forward is the reigning MVP of the KHL and racked up 82 points in 62 games before tacking on another 19 in 18 playoff games. There’s no question, eventually, Gusev could be a high-end NHL player and a true difference maker for the Golden Knights, but from the outside looking in, the timing of his arrival can be viewed as a major distraction. Whether it’s simply having another face in the room, a new body on the practice rink, or the locker-room dynamic of him pushing a player who has worked all season long to get to this point out of the lineup, there’s no shortage of reasons why this could blow up in the face of the Golden Knights. However, Vegas is confident they are able to pull something like this off for one main reason. 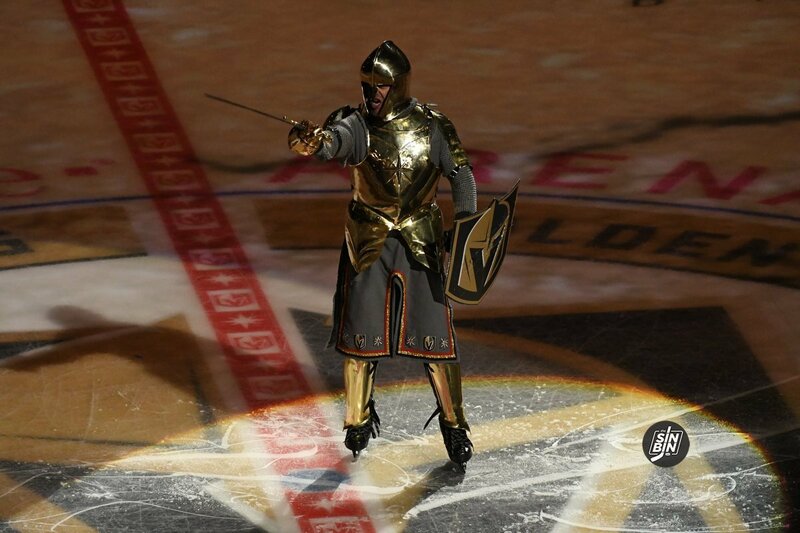 The Golden Knights have only been a team since June of 2016. They’ve only had players since June of the following year, and they haven’t yet completed their second season as an NHL franchise. Yet, from a player’s perspective, there’s no reason not to have complete confidence that whatever the management of this team does, it will help them achieve the ultimate goal. From Expansion Draft laughingstock to #1 in the league by January, to winning the Pacific Division, to raising a Western Conference Champions banner, to backing it up by cruising to a playoff berth a year later, it’s literally been about as perfect a franchise as one could be. The trust in the organization runs from the man at the top, The Creator, down through the GM, the front office, the coaching staff, and all the way to the players. That trust is why Nikita Gusev can be plopped down into a locker room of a team two games into a playoff series. Everyone truly believes that anything and everything this team does will work. Rather than question it, they accept it, believe it, and in many cases embrace it. Gusev may not play, but if he does, it’ll be because the organizational dynamic allows it. Not every franchise could pull something like this off, because not every franchise can point to a fairy tale and call it the reality. This should be risky, but for this team, it’s not, and who knows, it’ll probably end up working out perfectly. I’m more interested in what Gusevs contract will look like next year as a RFA. And how his contract along with Stone and Karlsson’s will affect our cap space. Which contracts will need to be shed? Miller, Holden, Eakin, Reaves? Can we expect hometown discounts from Belly and Engeland or will they be at risk too. Will they be moved at the draft, summer or exposed to waivers before the season begins.